Are you like millions of other website owners out there and have a WordPress website? It was a great decision, you have access to one of the most innovative and secure website platforms out there. It’s estimated that there are over 74 million WordPress sites online right now; that’s almost 19 percent of the Internet. You’ve probably invested a lot of time and money into your WordPress website. It makes sense; your website is a core part of your online marketing and without it your business could be losing a lot of customers. Most website owners do not really put a lot of thought into the maintenance of their site. You’re not alone if you think your website should simply be online and be fine after it’s launched. Plus, let’s be honest, it’s a really boring chore to maintain your WordPress-powered site. WordPress is an excellent tool and we’ve built a lot of websites using the tool throughout Markham, Toronto and surrounding areas. Without regular maintenance, a WordPress site can be hacked. A hacked website is not fun to deal with. Typically your site will go down and will be replaced with malicious links and content. It’s a bad experience for your customer-base and it can have a really negative effect on your SEO ranking if it’s not dealt with right away. Planning ahead is a great first step to prevent your site from being hacked. When you set up your site you’ll want to have strong logins. Do not use your company name as a login and avoid using common passwords. Try using passwords with a combination of uppercase and lowercase letters, numbers, and special characters. It will be a pain to remember but it will help protect your website and content. There are lots of plugins that will automatically update your WordPress theme and plugins such as Installatron (that’s the big one right now), stay away from these tools; they cause more problems than they are worth. Also, be careful about what plugins your install on your site, always read reviews. Many websites are hacked due to malicious code left in a post’s comments section. Comments can be a great way to interact with your online audience, but if you don’t plan on utilizing this WordPress function you should disable it. We have a lot of experience with WordPress, we’ve using it to build website since the beginning. 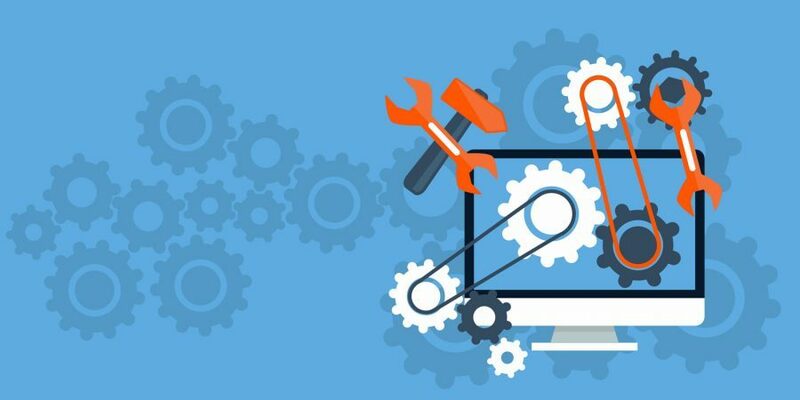 Like a car, regular WordPress maintenance is the best way to keep your website running smoothly for years to come. In addition to understanding WordPress inside and out, we also know how vital your website is to your business. With our WordPress Maintenance and Updates Package, we’ll do the following to your website. Keeping your WordPress website healthy means keeping hackers out and it keeps your site running at a high level. Common issues such as high downtimes, slow loading pages, and broken links can cost your business customers. Regular WordPress maintenance is time-consuming, but leaving to us will give you the peace of mind that your website is doing its job 24/7. Learn more about our WordPress Maintenance and Updates package by contacting us.